Each year Volunteer Cornwall’s annual awards recognise the efforts and achievements of individual volunteering within our community, celebrating the contribution that local people make. This year Tina Robinson (our Ghost Gear data analyst) nominated us for the Environmental Award (sponsored by Cornwall Wildlife Trust CWT). 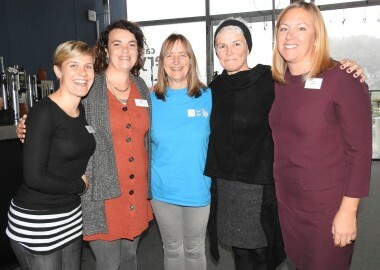 We are delighted to say that at today’s awards ceremony at the Eden Project we WON. The award was presented by Carolyn Cadman (CWT) and Col. Edward Bolitho (Lord Lieutenant of Cornwall). 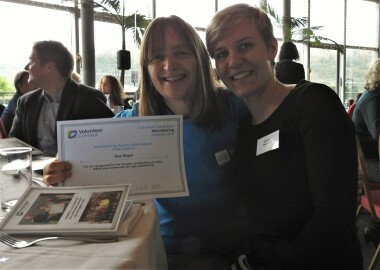 Sue Sayer proudly accepted the award on behalf of our entire CSGRT team of inspiring volunteers. CSGRT are hugely grateful to the Peoples’ Postcode Lottery Postcode Local Trust for the £19300 grant they awarded us. This grant funded both our Amazement and Discovery Ranger and our beautiful exhibition resources that have hugely increased the number of volunteers participating in our grey seal research. 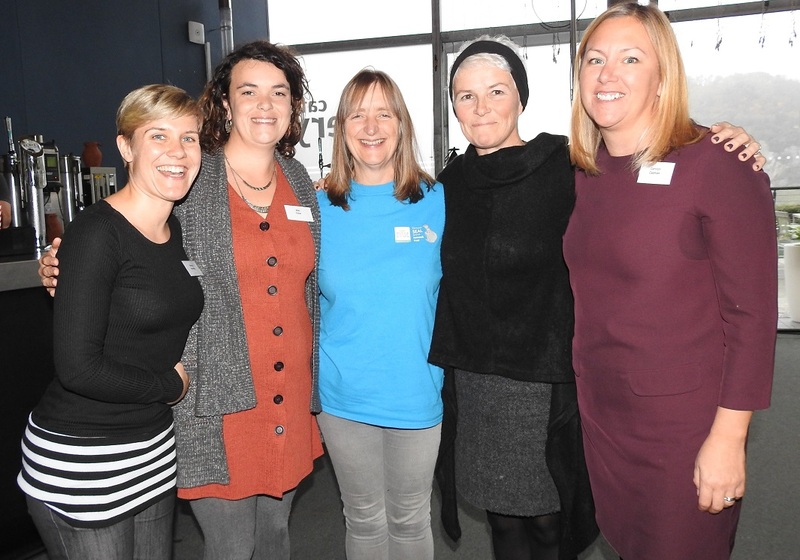 Our exhibition resources encouraged volunteers to offer their help and time and our Amazement and Discovery Ranger (Marion) has supported, trained and mentored our rapidly expanding volunteer team. This ‘Cornwall Volunteers’ Environmental Award is a wonderful reward for a fantastic team effort. Thank you all, but especially Tina Robinson and all her co-conspirators for their nomination!